Yesterday I had the opportunity to attend the screening of the docudrama of Josh McDowell’s early years, entitled “Undaunted”. This weekend also included the anniversary celebration of Josh’s 50 years in ministry. Josh started by serving with Campus Crusade for Christ (now known as “Cru”) in 1961. 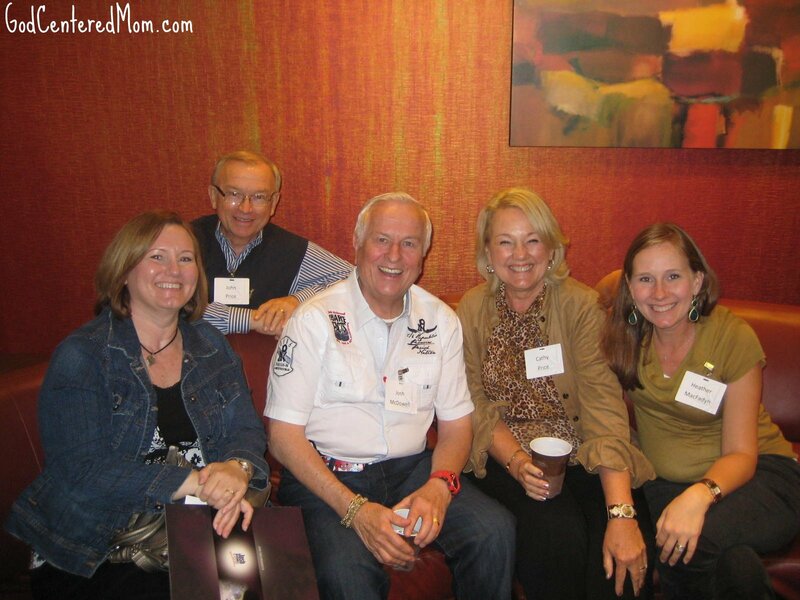 In 1964 he launched the Josh McDowell ministry and has since written 127 different books. In 50 years he has delivered more than 24,000 talks to over ten million young people and their families in 125 countries. Did you know that Josh was raised on a farm with an alcoholic father who physically abused his mother. He was sexually abused from the ages of 6 to 13 by a man who worked on their farm. His older sister committed suicide. Josh began his faith journey by trying to disprove Christianity. He even went as far as traveling to Europe, reading original manuscripts and other skeptic authors just to prove the fallacy of the resurrection. At the end of his research he discovered, in his own words, that “it was true”. He began to attend church and through relationship with the pastor and support of friends He began to follow Christ. Through mentoring he felt that in obedience he needed to tell his father he loved him (even if he didn’t feel it) and he needed to forgive his abuser (following Christ’s example on the cross…”forgive them Father for they know not what they do”). Josh was in a terrible car accident during college and was required to go back to the home that brought him pain & shame, to be in bed recovering from a back injury that left him strapped to a board. It was during this time that he was able to share Christ with his father. His father’s salvation led several others in their small community to faith. Just a year and a half later his father passed away. If Josh had not been in that accident, he may not have had the opportunity for full forgiveness and reconciliation with his father…freeing him to serve others for 50 years! A turning point for Josh came after a chapel service he attended at Wheaton College. The speaker was calling them to use their gifts and talents for God’s glory. “One person can make a difference but you have to be different” (not just in the way he lives but also in the way he dresses…a third button on his shirts that is red, a fun belt collection, funky shoes). You may feel that you don’t have any gifts or talents to use for God’s glory. I want to encourage you that God created you special. Your experiences and failures are unique to you and God can use ANYTHING for His glory. He just asks that you give it all for Him. “Hear Josh” was one of the most successful evangelism campaigns on our campus. Josh is an inspiration! I had no idea the extent of the pain he allowed God to turn into a testimony! I am one who has been blessed! Isn’t it amazing how God transformed beauty from ashes in his life and the number of people he has led to the Lord out of his own tragedy? The film is gripping and you just feel the pain in a tangible way and you are brought to tears at the restoration process you see unfold. This film alone is going to be instrumental in transforming lives. hope you get to see it! Thanks for putting this into words. I also had the privilege of being in that audience on Saturday. As Josh’s radio producer for 14 years, I had heard the stories from his youth many times. But the film made them very real. (Shockingly real.) But in the end: God does work out all things for the good of those who are called according to his purpose. Blessings on your work. wasn’t the film amazing! Very, very well-done and extremely powerful. Thank you for your encouragement and kind words. Josh McDowell was instrumental in my life as a new believer. Thank you for the rest of his story! Great read.